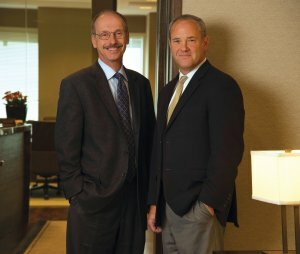 Moss & Barnett is pleased to announce that Richard J. Johnson and Brian T. Grogan were recently re elected to three-year terms as members of its Board of Directors. Rick serves as the firm’s Chief Financial Officer and is chair of our regulated industries practice area. Brian serves as the firm’s Secretary, chairs the firm’s communications and technology practice areas, and is a member of the firm’s regulated industries practice area. They will each continue practicing law on a full-time basis in addition to handling their management responsibilities.